ROANOKE—Lt. Gov. 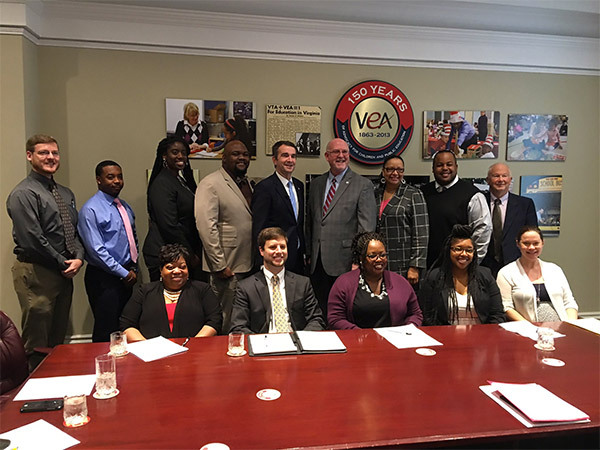 Ralph Northam has earned the recommendation of the VEA Fund for Children and Public Education, the Association’s political arm, for this year’s gubernatorial election. The announcement came this evening during a meeting of Fund directors at VEA’s annual convention. Northam, a pediatric neurologist and a Democrat, served in the Virginia Senate from 2007 until 2013, when he was elected lieutenant governor. As an elected official, he’s worked to increase investment in early childhood education and in STEAM (science, technology, engineering, arts and math) efforts, and has been an advocate for increasing pay for Virginia’s teachers, which lags some $7,000 behind the national average. He’s also a member of Virginia’s first Children’s Cabinet, which is dedicated to the education, health, safety and welfare of Virginia’s young people.